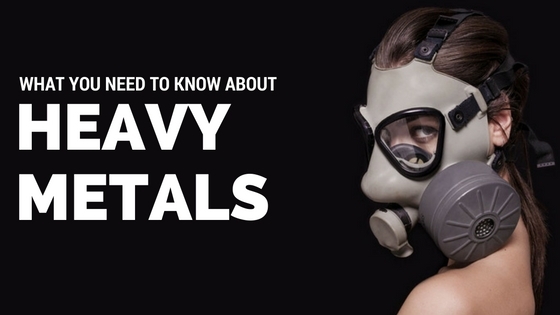 How would you know if heavy metals were a source of your health challenges? There is nothing more frustrating then thinking you are taking all the right steps with your health, but still feeling lousy. I see this all the time in my office. Patients who are eating right, exercising long hours, but unable to lose weight. Or when a seemingly healthy and happy person, suddenly begins to experience frequent waves of anxiety, depression, or insomnia. Or a patient who is told that a malfunctioning thyroid is the source of their symptoms, put on medication, but still feels horrible. What could be causing so many mysterious symptoms to be appearing? Why are so many people stuck with their health and out of answers on how to improve it? If you have read any of my articles before you know that I strongly believe that we don’t live a body where ONE symptom is due to ONE problem. It usually takes multiple breakdowns in the body to happen in order for symptoms to stick around. One of those breakdowns is the bioaccumulation of heavy metals. The two heavy metals that are effecting your health the most are LEAD and MERCURY. Heavy metals attach to receptor sites in the cells of your body and cause a variety of problems. They can even cross the blood brain barrier and get to the pituitary and hypothalamus and effect how your brain performs. One of the classic signs of heavy metals is that these symptoms appear around times of hormonal changes or after a period of prolonged stress. In women we often see these symptoms randomly appear around puberty, pregnancy, perimenopause, and menopause. Or patients complain that these symptoms appeared after a time of prolonged stress like a loss of a loved one, a surgery, a move, or a job change. The only accurate way to determine if you heavy metals are a source of your poor health is by a provoked urine test. Hair and blood tests only tell you what metals are already excreted from your tissues. A provoked urine test, will get you an accurate reading of what metals are still in your tissues that may be causing you problems. Where could you be getting these metals from? How do you get rid of these metals? There is a very specific way to address these metals. In our office we use a protocol called True Cellular Detox. It is a system has been proven to be the most effective and safe way to help your body release metals and ensure that they are excreted out of you. If you are concerned about metals being a source of your health challenges, attend one of my Thyroid & Weight Loss Talks. Since many thyroid conditions have a heavy metal component to them, I go over in detail how to detect and detox them properly. Our next Thyroid Talk is Tuesday, August 16th. Call 408-298-8092 to RSVP or respond to this email. Hope that helps! I know this is a confusing subject. But I have seen so many people finally begin to heal and get their life back, once they identify and remove these metals.